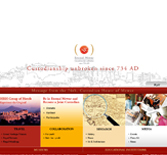 "Celebrating Mewar culture and performing centuries old rituals of the House of Mewar till today"
The portal presents the entire network of organisations under Eternal Mewar, encapsulates the myriad Mewari cultural experience for the visitor and facilitates intellectual access to 1500 years heritage through a well researched knowledge centre. Organisations: MMCF and HRH Pvt. Ltd. The show is an endeavour to present Mewar's ancient culture. Pitched against the backdrop of the marvelous palace façade, it uses the latest DMX protocols. ‘The Legacy of Honour’ (English) was launched in January 2005 and 'Yash ki Dharohar' (Hindi) was launched in June 2006. Organisations: Organisations: MMCF and HRH Pvt. Ltd. 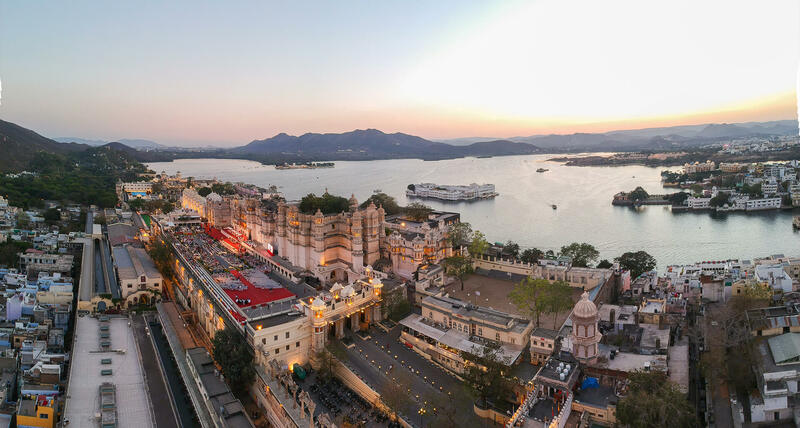 The Regal Festivals are an unparalleled cultural and heritage tourism initiative by the philanthropic arm of the House of Mewar. These festivals are a testimony to the ‘living heritage’ of Mewar. The Regal Festivals see the participation of the 76th. Custodian of the House of Mewar, Shriji Arvind Singh Mewar of Udaipur, performing centuries old royal rituals with the royal family in attendance. 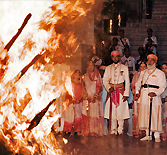 Holika Dahan, the festival in March every year celebrates respect for mankind – one of the cardinal values of Eternal Mewar, the many colours of life and the many shades of culture. Ashwa Poojan is a proud testimony to the acknowledgment of the historic ties between the Rajput and the horse as well as patronage of the Marwari breed of horses. Kartik Poornima the only day in the indian calendar when Lord Brahma is worshipped, one of the brightest moonlit nights of the year is a proud testimony to the patronage. MMCF is synthesising and expanding its cultural activities in a Cultural Tourism Plan with a focus on brand building. The Museum will also generate an interpretation plan with innovative and interactive means to engage the visitor with Mewari history and culture. Shree Eklingji Trust proposes to organise cultural activities at the SunTemple at Ranakpur on a large scale at least once a year. 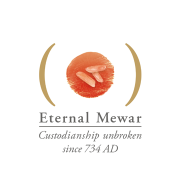 The Maharana of Mewar Charitable Foundation plans to record, exhibit and organise workshops on various aspects of Mewari culture such as traditional headgear, dresses, textiles, lifestyle, games, cuisine etc. The business and charitable organisations under Eternal Mewar continuously engage in cultural activities and events for the promotion of intangible cultural heritage.The annual calendar for the regal festivals and events is fixed anditserves to anchor additional culturalprograms with selectpartnerorganisationsandinstitutions.